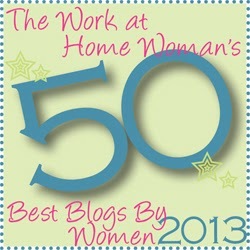 · We're thrilled to be included in The Work at Home Woman's list of the 50 Best Blogs for Women. Check out some of the other great blogs that are included. · Competition is tough for virtual assistants. A guest poster at The Work at Home Wife explains how to make yourself stand out and get hired as a VA.
· If you don't yet have a Halloween costume for your little one, consider making Freelance Homeschool Mom's adorable, no sew Halloween costume. · Recipe Girl shares Weelicious' recipe for pumpkin pie pop tarts, which look like the perfect (fairly healthy) Halloween treat. · The next time you have one of those afternoons when you wonder where the time went and what to make for dinner, look no further than $5 Dinner Mom's "No Thought Dinners." · Real Ways to Earn Money Online shares two more work at home success stories. I never get tired of reading these! · Working Mother educates readers by sharing one woman's experience of being diagnosed with breast cancer even after having a clear mammogram just months earlier. · Do you menu plan? That's just one of The Mom Write's strategies for making speedy weeknight meals. · Dainty Mom reminds us how important a spouse can be to helping a work at home mom succeed. · Are you looking for a quick, healthy meal? Look no further than Wise Bread's round up of the 10 best frozen burrito recipes. Wow! I've been looking for a list of best blogs for women. Thanks for this girl! I just love Recipe Girl and Working Mom! Thanks for this post. All of them helped us working mommies... That's what I love about bloggers they gave us something to read and digest!